The path invites you into mysteries of the forest. When you look up and see the sun flashing on a million pine needles creating diamonds in air, that is when you’re glad to be solo – to be wide-eyed, in awe without distraction. Even getting there is exciting. Also known as the “Spaceship House,” it soars above you on the highway. 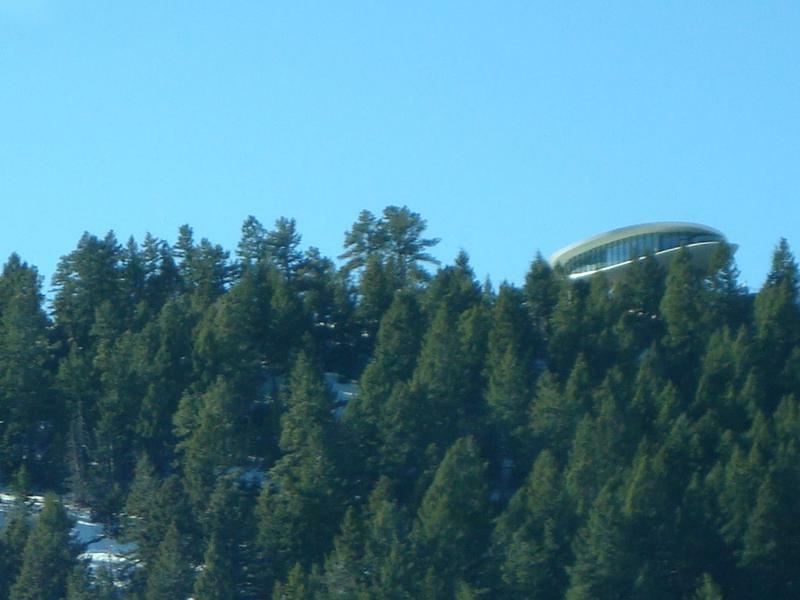 When you drive up from Denver, you pass the famous “Sleeper” house high up on a hill on the left side. It looks as if it is about to take off. Then you come to the crest of the hill at Genessee and catch the first vista of the snow-capped Rocky Mountains. If you’re lucky, you see the buffalo as you descend with the mountains stretched out before you. Now you know you have left the city behind and an adventure is in store. Elk Park Meadow is one of two hiking areas in this Jefferson County Open Space system. The first, Means Meadow takes you through the meadow. 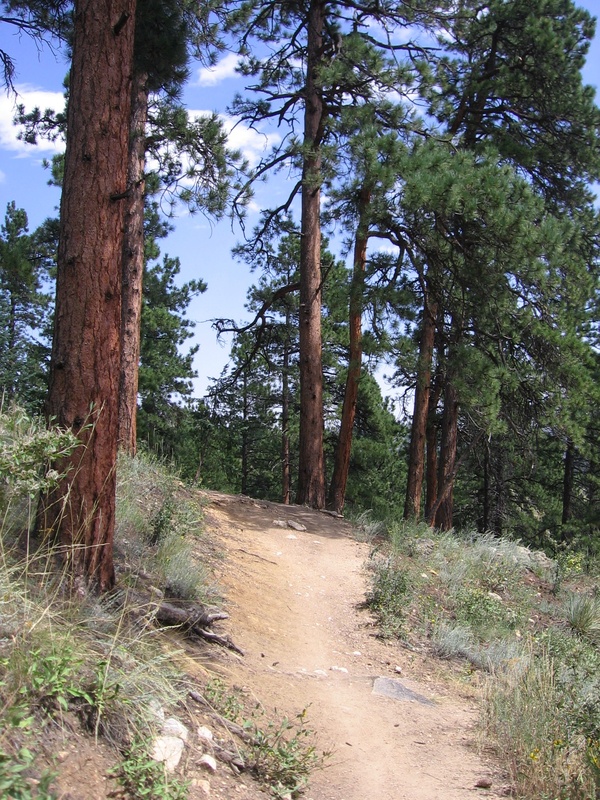 Elk Park takes you through wooded areas with more diverse scenery. Each has numerous trails to explore. On a recent trip in October, conditions were perfect. I encountered about a dozen people in my two-hour hikes. That’s just enough to know you aren’t completely alone if you need help, and not too many to distract you from concentrating on the absolute beauty all around you. Elk Park Meadow trail sits at high altitude, just over 7,200 feet. The air is fine, clean, crisp. If it were wine, it would be $100 a bottle, at least. (Access to the trail is free). Early on, at one point in particular, the smell of pine trees hits amazingly strong, giving a bit of a pleasant jolt. 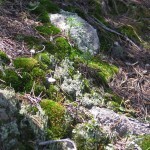 Rocks, moss, and other natural treasures. The only drawback to this hike is that you may wish for more solitude as Elk Meadow Trail is popular with both hikers and mountain bikers. 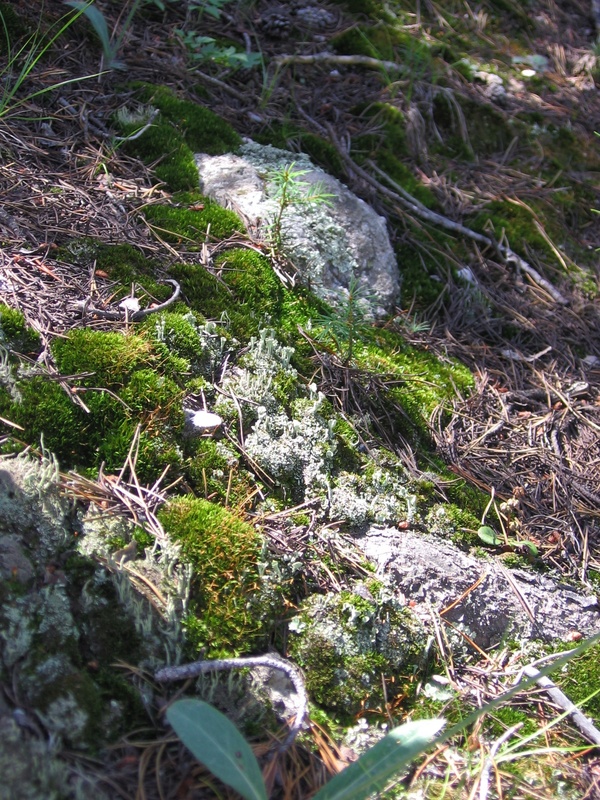 You can let other hikers pass so you can treasure the natural surprises along the way – lichen on rocks, solitary flowers, moss, occasional deer and woodpeckers and then – the grand vista of meadow. While you’re feeling “green,” out in the fresh air, there’s a plus. The restrooms near the parking lot are equipped with the Clivus Multrum, composting, non-smelly – yes, true! – toilets. These “green” potties can calm your environmental conscience. One caution, because of the high altitude, the trails are often muddy into late May. It’s best to hike here June to November (unless there is early or late snow, then be prepared for a shorter season). To get there from the Denver area, take I-70 West, exit onto Highway 74 (exit 252) toward Evergreen. Continue on 74 past Bergen Park and past Means Meadow trailhead to Stagecoach Rd. Take a right, continue about a mile to the parking lot on the right. It is marked.